Mexico Auto Insurance Coverage from MexicanInsuranceStore.com – San Diego to Tuscon to Rocky Point! 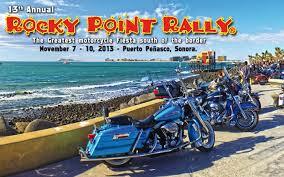 For those visiting Rocky Point (or the Baja Peninsula), a vehicle permit is not necessary. However, you still need to acquire a tourist card as well as Mexico auto insurance coverage from MexicanInsuranceStore.com. Mexico auto insurance coverage from MexicanInsuranceStore.com. is now required for highway travel in Mexico. US and Canadian car insurance is invalid in Mexico. The legal philosophy and insurance coverage’s are quite different in respect to automobile accidents and how they are resolved North of the Border. Comprehensive Mexican auto insurance from Mexican Insurance Store is vital. You will be detained (jail) and your vehicle can be impounded until you pay damages deemed to have been caused by you to others if you don’t have Mexican auto insurance from Mexican Insurance Store. Your ability to compensate others for damages you cause to others is considered above all else. This is why it is important to protect yourself with quality Mexican car insurance by Mexican Insurance Store. Enjoy yourself with peace of mind on vacation! Rocky Point Mexico, also known as Puerto Penasco, has a reputation for fishing and adventure along the Gulf of California. Located a mere 60 miles from the Arizona border, Rocky Point is a popular destination for those wanting to get away for a few days of adventure in Mexico. For those searching for comfort, luxury hotels and condos are plentiful, and traditional RV parks and motels are also readily available. Just remember Mexico Auto Insurance Coverage from MexicanInsuranceStore.com is required for all driving on freeways in Mexico. There are numerous entertaining things to do including, sport fishing Charters, Jet ski Rentals, day-to-day sailing cruises, Scuba and Snorkeling, Whale and Dolphin viewing, , Sailplane Flights, Parasailing, ATV Rentals and Horseback riding on the beach. And don’t miss the shrimp burritos! In 1810, the retired Lt. Robert Hardy of the English Royal Navy was voyaging by the sea-coasts of Sonora and Baja seeking pearls, ivory, and silver in the sailing ship La Bruja. He named the beach head Rocky Point and it was identified on official marine maps as such until General Lázaro Cárdenas, president of Mexico in the 1930’s changed it to Puerto Punta Peñasco (Port Rocky Point). During the early 1920’s Americans traveled from nearby Arizona and California to find the enormous flying fish abundant in the nearby waters. For regional fisherman Rocky Point provided refuge from storms, thanks to the “the hill of the whale” a natural point of refuge, and a beautiful inlet. Mexico Auto Insurance Coverage from MexicanInsuranceStore.com comes with FREE Roadside Assistance. Your road protection goes with you if you have Mexican insurance. Any type of budget can meet your insurance needs in just minutes. Auto emergency can happen during your Mexico holiday. Save yourself from financial troubles by obtaining a Mexico insurance policy.